Sarah E.Goode was one of the first African-American women to get a U.S. patent. Working in her furniture store, she recognized a need for a multi-use bed and through hard work, ingenuity, and determination, invented her unique cupboard bed. She built more than a piece of furniture. 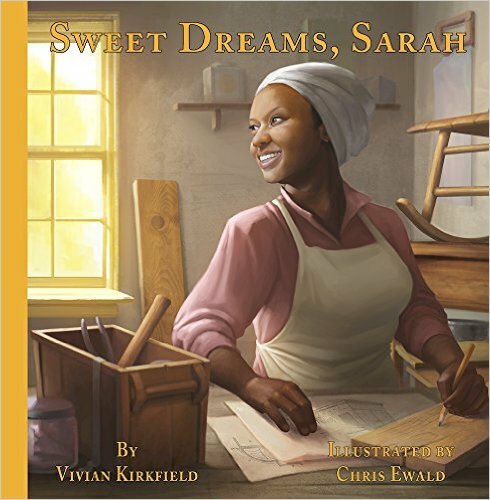 She built a life far away from slavery, a life where her sweet dreams could come true. An enchanting mouse scours her cozy, miniature home for her Passover Seder plate with no luck. Sundown is near and the Passover celebration will begin soon. Pippa Mouse must venture out and be brave to ask a cat, a snake, and an owl for help. To her surprise not only are the animals helpful in tracing her plate to the pond, they become her Passover Seder guests. A spread at the end of the book shows the Passover plate with its six essential symbolic items: zeroah (a roasted bone), beitzah,(an egg), maror and charoset (bitter herbs), chazeret (mortar or paste), and karpas (a spring vegetable). For a copy signed by the author and the illustrator, please order from my favorite indie bookstore, Toadstool Bookshop in Milford, NH. Water wakes. Wildlife greets the day and finds shelter, safety, and fun on the river in this lyrical, ecologically oriented counting book. One willow flycatcher, two dragonflies, three kit foxes, and more thrive in their habitat. As kids count, the day turns from dawn to dusk, and the character of the water changes as quickly as a child’s moods. Animals sing, leap, tiptoe, toboggan, hoot, hunt, flit, flutter, and hover. They ride out a storm, bask in waning rays, and tuck in under the silver moon. To order a signed copy from my indie bookstore, click here. 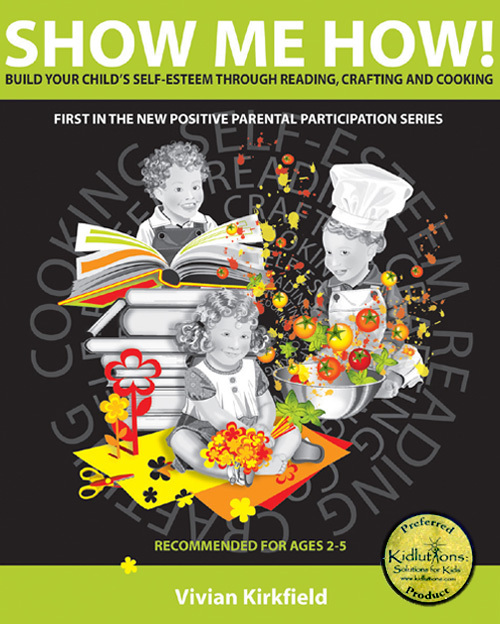 Perfect for parents and teachers, grandparents and day care providers, you’ll find 100 picture book recommendations, 100 quick and easy craft projects, and 100 simple child-friendly cooking activities – all right at your fingertips! This is the book I wished I’d had when I taught kindergarten and raised my own three kids, but it didn’t exist then – so, I wrote it for you! Recommended for ages 2-8. Always have something entertaining and educational to do with the kiddos. 100 picture book recommendations plus a quick craft project and a kid-friendly cooking activity for each. 256 pages chock full of fun! International Buyers please contact viviankirkfield@gmail.com for shipping costs. My late husband, Stuart Kirkfield, was also a published author. His ground-breaking book, THE FINE BAMBOO FLY ROD: A MASTER’S SECRETS OF RESTORATION AND REPAIR, is available directly from me. Originally written in 1986 and still considered the bible of bamboo rod restoration and repair, this is a brand-new copy of the 1999 edition, with dust jacket.